The Yale Computer Science Department invites applications for multiple tenure-track faculty positions, at the levels of Assistant, Associate, or Full Professor, to start in the 2019-2020 academic year. Qualified applicants in computer science are invited to apply, with a preference for Artificial Intelligence (generally construed, including classic AI, computer vision, human-computer interaction, natural language processing, robotics, machine learning, and related areas) and Systems (also generally construed, including operating systems, distributed systems, programming languages, networks, databases, security, computer architecture, and related areas). The department is slated to grow significantly over the next few years, and new hires will have the opportunity to influence future directions. Applicants are expected to excel in both research and teaching. Yale provides many opportunities for research collaborations both inside and outside the Computer Science department. Interdisciplinary work is encouraged, with Yale’s world-class faculty in numerous computationally active fields. Yale faculty regularly have the opportunity to teach excellent students, both graduate and undergraduate. The department’s home page can be found at http://cpsc.yale.edu/. A candidate should hold (or expect to receive by the end of 2019) a Ph.D. in computer science or a related discipline. Applications submitted by December 15, 2018 will be given highest priority. Please apply at http://apply.interfolio.com/55921. The Yale Computer Science Department invites applications for a position at the rank of Lecturer or Senior Lecturer, to start in the 2019-2020 academic year. Applicants are expected to excel in the teaching of large introductory courses. Opportunities to teach upper-level courses, to supervise student projects, and to collaborate with Yale’s world-class faculty in numerous computationally active fields are also available. The department’s home page can be found at http://cpsc.yale.edu. A candidate should hold (or expect to receive by the end of 2019) a Ph.D. in computer science or a related discipline. The department will start reviewing applications on December 15, 2018 and will continue until the position is filled. Please apply at http://apply.interfolio.com/57088. The Yale School of Engineering & Applied Science invites qualified candidates to apply for the John C. Malone endowed chairs. We are conducting searches for multiple faculty positions at the rank of Professor (tenured) in the Departments of Biomedical Engineering, Chemical & Environmental Engineering, Computer Science, Electrical Engineering, and Mechanical Engineering & Materials Science. Anticipated appointment date for these positions would be June 2019 or January 2020. Outstanding individuals holding a PhD or an equivalent degree in the relevant field or a closely related discipline will be considered. The successful candidate will have a distinguished track record and is expected to develop a vibrant externally funded research program, to teach undergraduate and graduate courses, and to advise graduate students. Applications should include a cover letter, CV, five representative publications, a description of research and teaching interests, and the names and email addresses of three references. Please submit applications to the individual departmental links below. The departments will start reviewing applications on December 15, 2018 and will continue until all positions are filled. To ensure full considerations, please submit materials by April 30, 2019. Applicants with interdisciplinary research interests are encouraged to apply to more than one department. 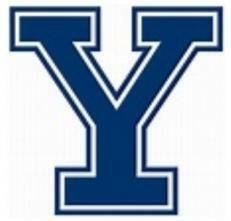 Yale University is an Affirmative Action/Equal Opportunity employer. Yale values diversity among its students, staff, and faculty and strongly welcomes applications from women, persons with disabilities, protected veterans, and under-represented minorities.